Sarah gave me an amazing small tripod for my birthday, a Slik Mini Pro III. 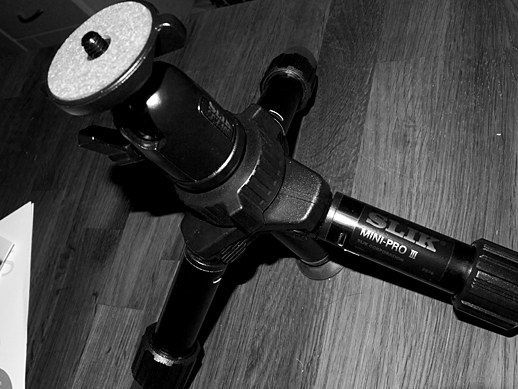 It is surprisingly robust for a ‘mini’ tripod, and folds up fairly small. But what is most impressive is that despite its diminutive size, it can hold up my E-PL1 when my Kiron 80-210mm legacy lens is mounted. This is a HUGE lens, and very heavy, but the Mini Pro III holds it up really well.